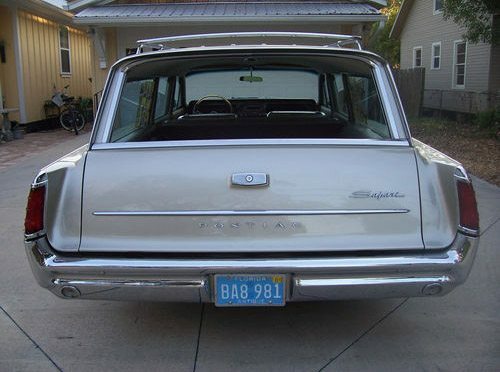 This Ebay find 1963 Pontiac Catalina Safari station wagon started as a family’s vacation car to drive between Chicago and their Estes Park, Colorado vacation home. Nicely optioned, the Catalina featured a 267HP 389 V8, automatic transmission, factory air, and six passenger seating. 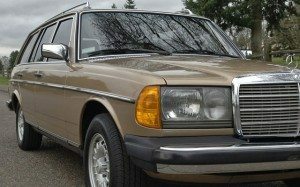 Comfort, convenience and nice performance for a highway driver. 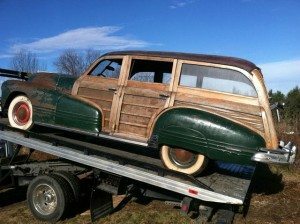 When the new owner, a Pontiac performance enthusiast purchased the car with just 36,000 miles in 2005, he saw an opportunity to turn this well preserved Pontiac into a performer that would look like it came right out of the factory. 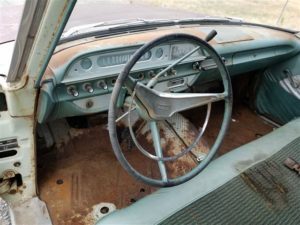 A period correct Borg-Warner floor shift manual transmission was added as well as a numbers correct four barrel intake manifold with a Carter AFB carburetor. A dual exhaust replaced the factory single exhaust and Pontiac 8 lug wheels were added completing the performance transformation. 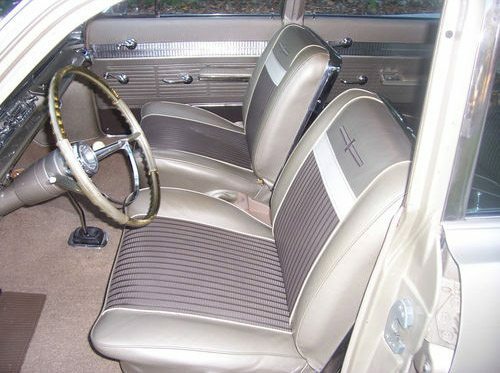 With all the mechanical upgrades, a real nice touch is the conversion to bucket seats from the factory bench seats. 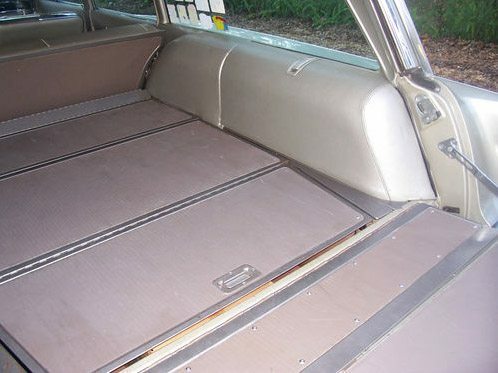 A donor Pontiac supplied the seats but the material from the original bench seat was used resulting in a perfect match with the rest of the original material. We really like this one. 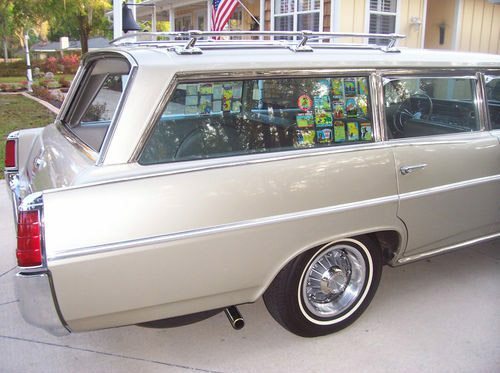 There are plenty of restomod wagons out there so it’s nice to see the period correct mods on this one. I would drive that thing any day, and proudly. 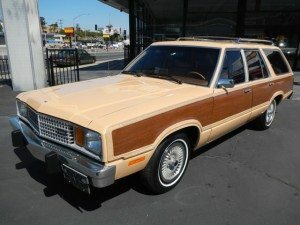 Viva la wagon! 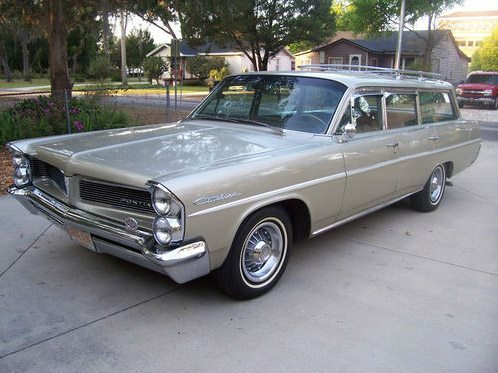 I too am from Georgia, and looking for a 63/64 Pontiac wagon. 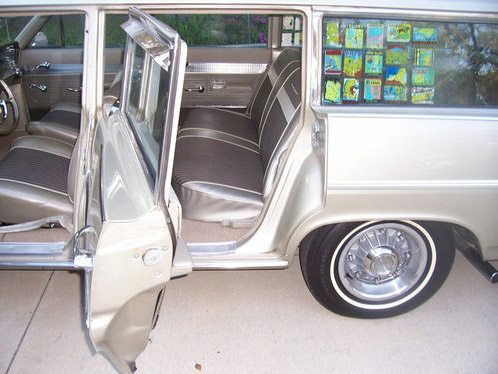 I know of two 1962 Pontiac wagons, both automatics, check out CLust Winder, Ga, and Gadsden Alabama. Both are rust free, the zap car is orig paint. 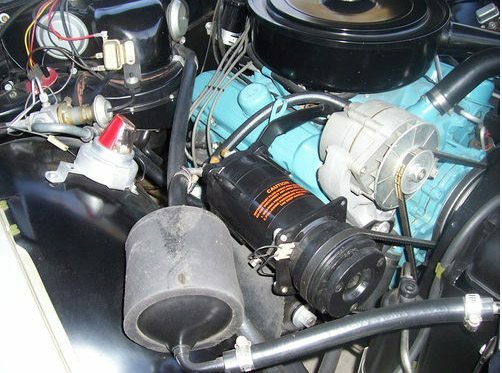 …… Also, I would take a 66/67 Fairlane to run my driver friendly 460 Ford with repo Boss 429 heads and valve covers. Heck, I would look at any Ford, Pontiac mid size rust free low mile wagons,but I the 63 /4 Ponchos have a special place in my ol heart! 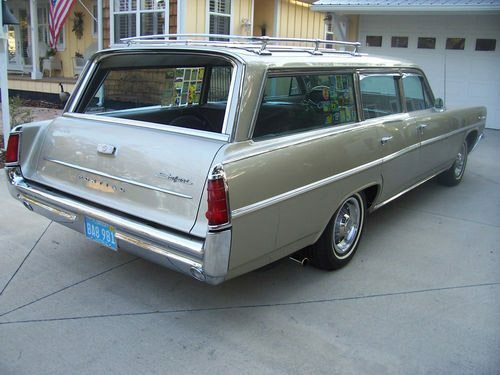 Anyone want to give a good original wagon a great home, call me, my work number is 310-970-4591…. thanks !